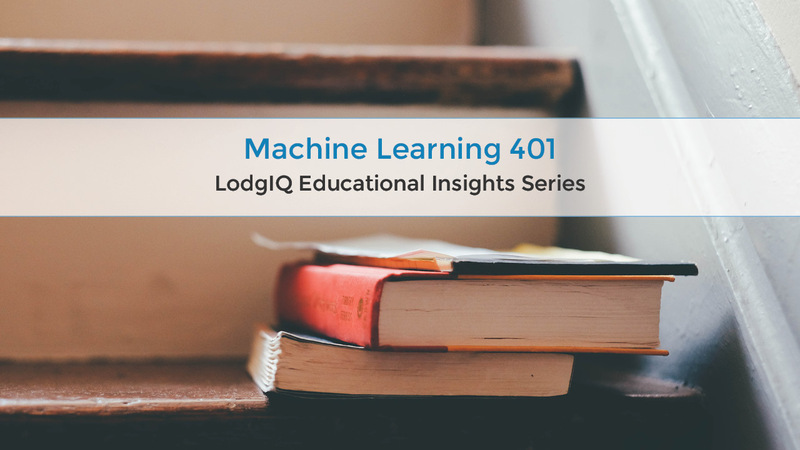 Predictive and prescriptive analytics are the focus of Machine Learning 401. Here are Machine Learning 101, 201, and 301, in case you missed it. If you made it this far, congratulations. You’ve learned a lot, but here’s where it starts to get tricky. This is where predictive and prescriptive analytics come into focus, two areas in which modern revenue management trends are being redefined. If you’re looking for ways to generate more hotel revenue, predictive analytics are an extremely valuable tool. It’s right there in the name: predictive. Cracking data this way helps hoteliers understand a likely future-facing scenario. Essentially, if we can analyze the data to reveal a specific and dependable pattern of past behavior, we can predict with a level of certainty, similar future behavior. If we can understand, for example, that a hotel sold out on a weekend during the Coachella music festival for the past five years, we can predict it will sell out again this year. That knowledge tells us we could probably charge more for the same hotel rooms simply because of built-in demand that has repeatedly created the sold-out scenario. If you plan to increase hotel profits with technology, prescriptive analytics is redefining revenue management trends because it accounts for market changes in real-time. Prescriptive analytics, when utilized in tandem with machine learning, integrate massive and diverse amounts of up-to-date market data (including supply and demand), room pricing of direct (hotels) and indirect competition (including peer to peer lodging sites such as Airbnb, and other alternative accommodation options available within the destination), review scores on hotel review sites, among many other variables, to arrive at actionable insights that impact your pricing potential. The machine learning system prescribes you a solution on your very specific query. In this case, the exact price customers are willing to pay for a hotel room on any given night. When it comes to hotel sales strategies that generate more revenue, this is the final frontier. Prescriptive analytics reinvents everything, including reorienting the category of revenue management into what’s now being called revenue optimization. In tandem, prescriptive analytics and machine learning create perfect insight by explicitly telling a hotelier what the value of a room is to the consumer at any moment in time. This is what LodgIQ brings to the table for our hotel clients: access to up-to-date market data to drive smarter business decisions and improved profits. Connect with us to try our revenue management technology for free!